I got this shot while whizzing past the cranberry bogs in Tomah, Wisconsin. Cranberries say "Fall" to me. And they're a good indicator that Thanksgiving is on the way! 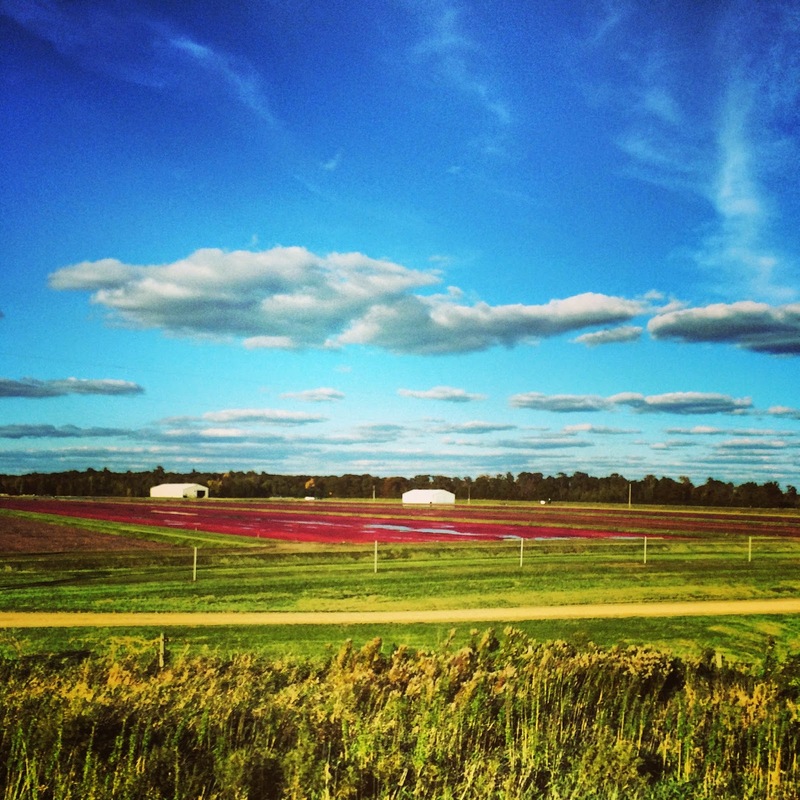 "The cranberry is king in Tomah, Wisconsin where bogs stretch from horizon to horizon and color every aspect of life with the deep, rich crimson of Ocean Spray. Snug in the heart of the Badger State, this friendly little town of just over 8,000 thrives midway between Milwaukee and Minneapolis-St.Paul. Founded in 1855 and named after a Native American Chief known for his high ideals and strong character, Tomah lives up to its legacy with a proud history of honest, industrious citizens who live and thrive in the outdoors. From farming their famous cranberry bogs to hiking, boating, fishing, snowmobiling and every other outdoor activity, Tomah is a town for the outwardly mobile. It’s also home to Ocean Spray’s Tomah Processing Plant where 3 production lines produce 31 million pounds of Sweetened Dried Cranberries (SDCs) and Concentrate every year. Situated on 243 acres, this 75,000 square foot facility is kept active 24 hours a day, seven days a week by 125 non-union employees who have been with Ocean Spray an average of nearly 10 years each. First opened in 1988, the plant embodied Tomah’s hardworking history by earning Ocean Spray’s 2009 Throughput Award for highest average daily productivity." Nice picture. For a second, I thought that you were on Cape Cod.